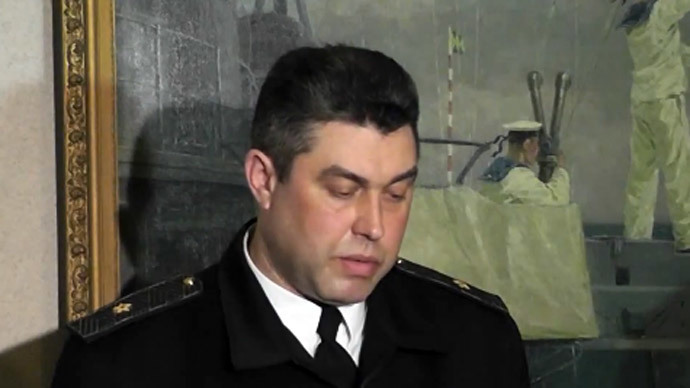 Rear admiral Denis Berezovsky, appointed as head of Ukraine's Navy forces just two days ago, has sworn allegiance to the people of Crimea. 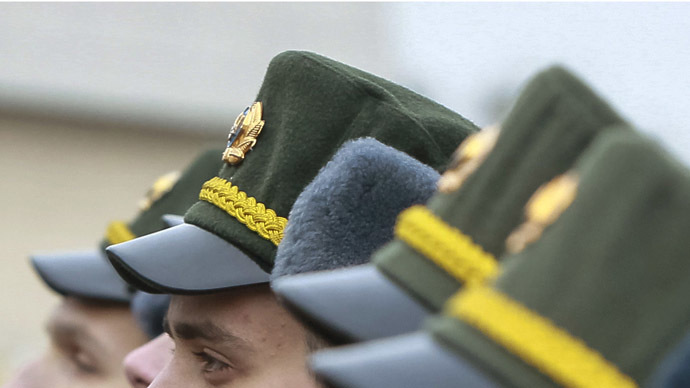 Taking his oath, regional Prime Minister Sergey Aksyonov announced creating Crimea's Navy. 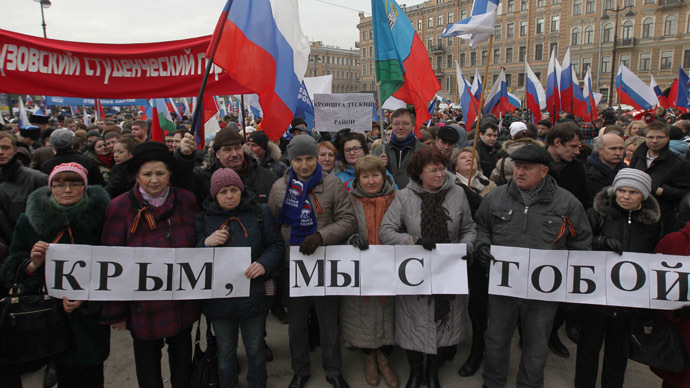 “I, Berezovsky Denis, swear allegiance to the Crimean people and pledge to protect it, as required by the [army] regulations. 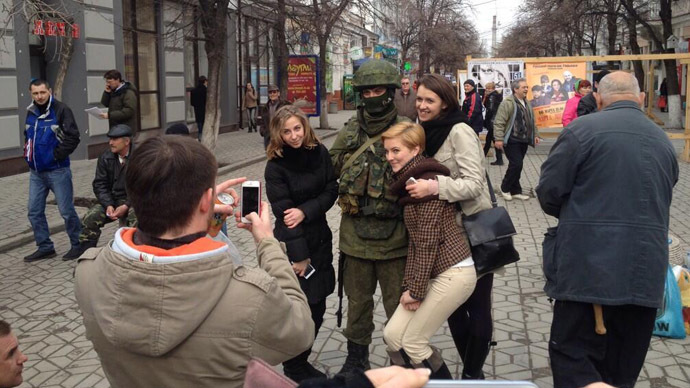 I swear to take orders of Crimea and Sevastopol's Supreme Commander,” Berezovsky said as seen in video footage. The region's Prime Minister Sergey Aksyonov announced the creation of Crimea's Navy forces and appointed Berezovsky its head. “The Republic will have its own navy, which will be commanded by rear admiral Berezovsky,” Aksyonov told the journalists Sunday. “Subsequently, this day will be considered the birthday of the naval forces of the Autonomous Republic of Crimea,” he added. "All Navy troops dislocated in Sevastopol are ordered to disregard any commands coming from Ukraine's new self-proclaimed authorities," the PM also declared. "Do not take any orders of using arms till my personal instructions." As for those, who wouldn’t want to join the Crimean navy, they have the full right “to retire” and “won’t be prosecuted” afterwards, the PM stressed. 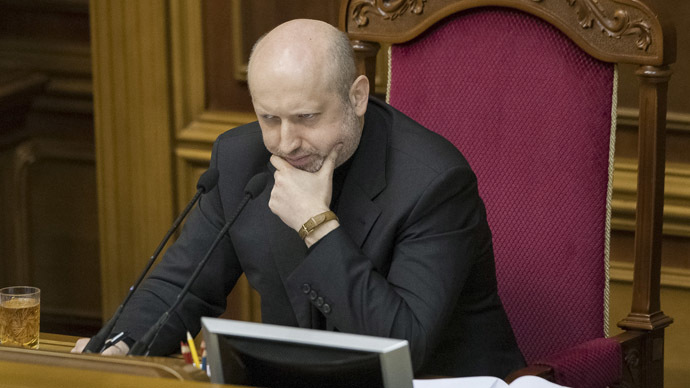 Berezovsky was appointed Ukraine's Navy chief on February 28, but following Sunday developments the country's Security Council dismissed him and launched a case for "treason" and for surrendering his headquarters in the Crimean port of Sevastopol. "The prosecutor's office has opened a criminal case against Denis Berezovsky under statute 111: state treason," said Viktoria Syumar, deputy secretary of the Security Council. Another admiral, Sergey Hayduk, was placed in charge of the navy. Earlier in the day, Ukrainian armed forces dispatched to Crimea were said to have switched to the side of local authorities. “Today the majority of the Ukrainian armed forces deployed in Crimea passed to the side of the authorities of the Crimean autonomous region. 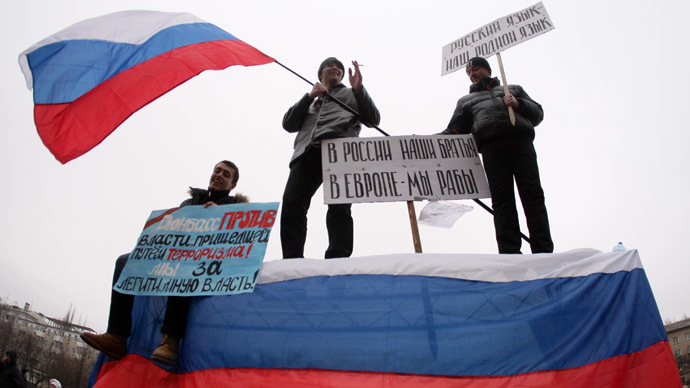 The transition was absolutely peaceful, without a single shot fired either by the military or by the forces of self-defense,” a source told RIA Novosti news agency. 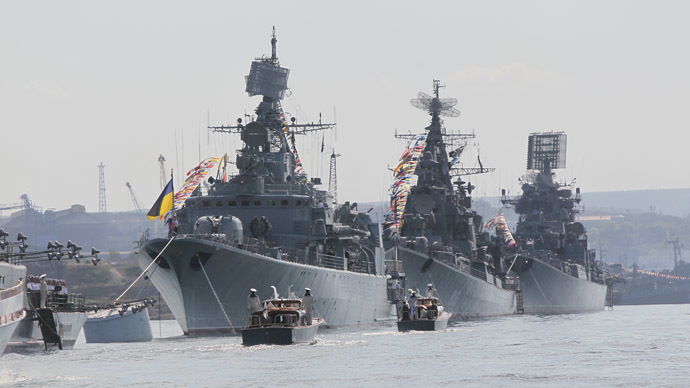 A Russian media report on Saturday also claimed that Ukraine’s Navy flagship, the Hetman Sahaidachny frigate has refused to follow orders from Kiev, came over to Russia’s side and was returning home from the Gulf of Aden flying the Russian naval flag.